Group FaceTime video chat allows for up to 32 participants to be engaged in the same active video conference, as long as those people are on a Mac, iPhone, or iPad, running the latest versions of macOS or iOS system software. We’ve discussed making Group FaceTime video calls from the iPhone and iPad before, and so this tutorial is going to cover making the Group FaceTime video calls from a Mac. 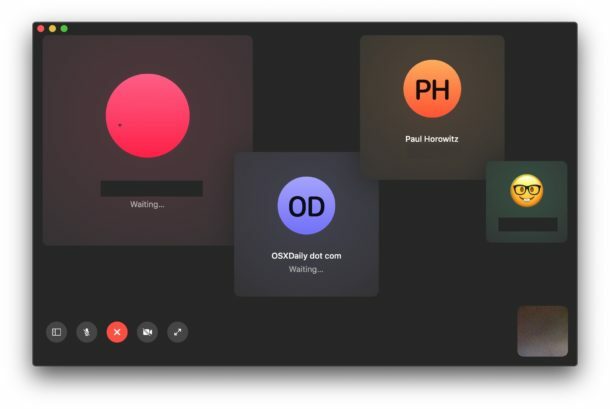 Group FaceTime requires modern versions of system software to function, including MacOS Mojave 10.14.1 or later for Mac, and iOS 12.1 or later for iPhone or iPad. That includes both the Mac making a FaceTime group video call, as well as the recipients devices or Macs. 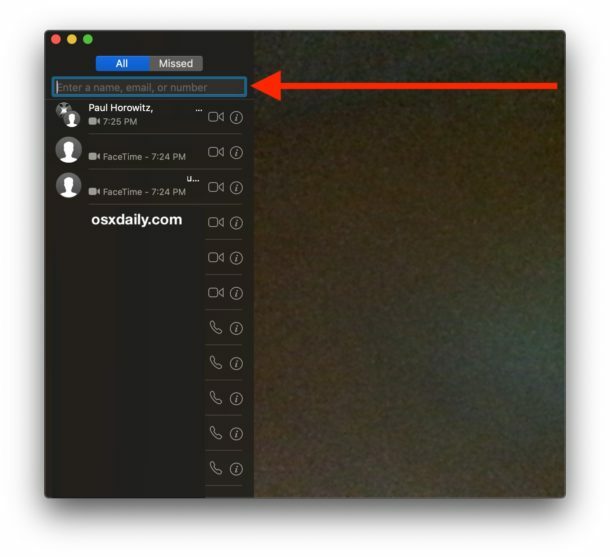 The other members of the Group FaceTime video chat can be using any compatible Mac, iPhone, or iPad. If the recipients do not have sufficient system software versions they will not be able to join the FaceTime Group call. The participants of the Group FaceTime call will each be called and are able to join, all showing on screen. 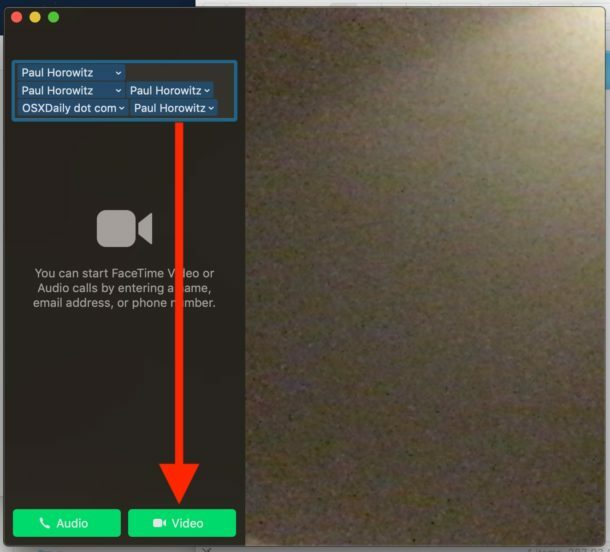 You can hang up the FaceTime Group video call at any time by clicking on the red (X) button. Anyone can hang up from a Group FaceTime call by pressing the red “X” button as usual. 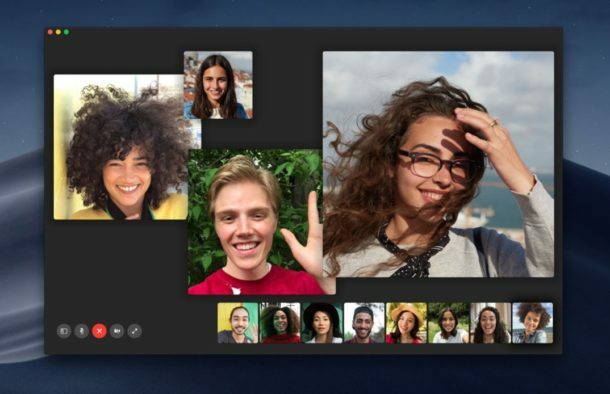 Remember, all participants and invited recipients of the Group FaceTime video chats must be using compatible versions of MacOS and iOS system software to have access to this group video chat feature. For those coming from the iOS world, you can also learn how to use Group FaceTime video on iPhone and iPad as well. I am using iMac with MacOS Mojave 10.14.1 but can’t call group video by FaceTime to 2 iPhone with 12.1 version on iOS. But from this iMac, i only can call to one iPhone. And I tested on my iPhone that it can call group video to one iPhone & one this iMac. Any suggest me on iMac? I can’t call group from my iMac as above. How do you add an event in the calendar to repeat Monday to Friday?